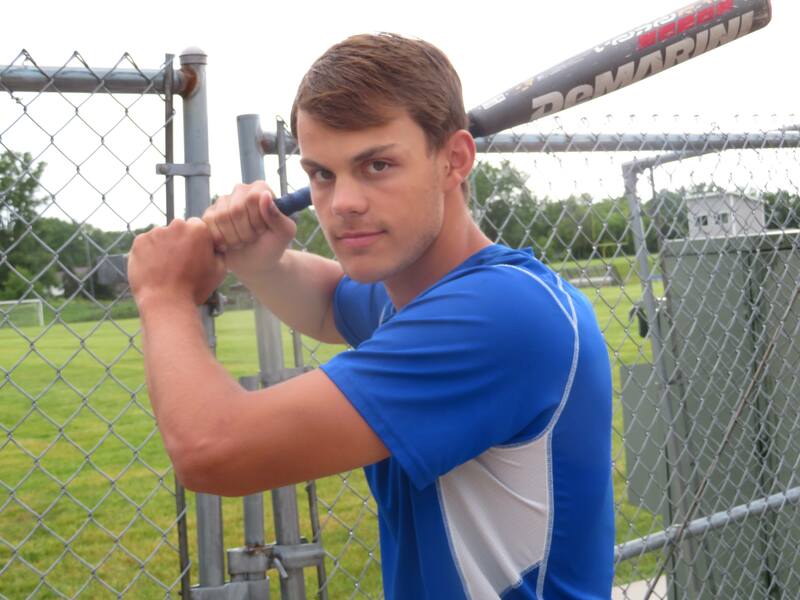 When New Berlin West sophomore Nick Paget plays baseball the main reason he has had such a successful career so far can be summed up in one word - RELAX. Paget is coming off a freshman season that saw him earn All-Woodland Conference (East-West combined) and All-Woodland West Division honors at first base. "Baseball is such a relaxed sport," he said of the main reason for his success. "A sport you can have so much fun in. It's not intense all the time. It's not intense workouts. It's a sport you can share with your best friends. You can play catch with your dad. It's a leisure sport." But what about with the game on the line? You still relaxed? "In clutch situations, I'm really calm and take it like any other at bat or any other fielding situation," Paget said, matter of factly. "I don't take it like the world is resting on my shoulders. I just take it slow, remember the fundamentals. I'm a pretty calm player. I don't take anything too seriously. I crack a few jokes every now and then." Vikings veteran coach Tom Farina had some interesting points about Paget following his sensational rookie season. "For a 14-15 year old kid to say that he has figured that out is one thing. But to watch him play and watch him do the thing that he does that he's not just saying the words. "To someone who might watch him warm up or even play in the game they might look at him and say 'That looks like a lazy guy out there.' He's just that relaxed. "But when the time comes for him to make a play or get a hit you can count on it. He's going to take care of his business." Photo by Tom 'Sky' Skibosh --- Nick Paget earned first-team All-Woodland and All-Woodland West honors as a freshman. "I felt my game really translated well in high school," he said. "I think a huge part of that was the coaches I had on the Heat. They coached us really well and prepared us well for this stage. I think most of my success was because of all my coaches I had." Farina was asked if he was surprised by Paget's great success his freshman season. "If you would have asked me if it was a surprise at the beginning of the season I would of said, 'Yes I'd be very surprised,'" he said. "But as the year went on we had a chance to see so many different teams and players, it was not a surprise. He earned everything he got last year without question." Having a year under his belt has helped Paget this season. "Yes it definitely did," he said. "As a freshman you're scared and don't know what to expect. This year I knew what to expect. Everything - the pitches, the pitchers, the coaches from other teams, how teams were and I think it helped a lot." Farina recalls first seeing Paget on the 8th grade select team. "First time I noticed him and had an idea of what kind of player he could be," he said. Paget then caught his eye at the open gyms his first year. "From a defensive standpoint he was here for a lot of open gyms his freshman year. I watch all of the kids. He played in the fall leagues and the spring leagues and he was varsity ready right then as a defender. "I wasn't quite sure what he would do with a bat in his hand. But then the season got underway last year and we brought him up right away as a freshman. Not only was he making solid contact and putting balls in play but he was quickly becoming the most clutch hitter we had on the team." Farina recalled that Paget tied the game with two outs in the seventh against Pius XI with a home run last year. "And then two innings later he came up with the bases loaded and two outs and drives in the winning with a walk-off hit and he's never stopped since." Farina feels he doesn't have a lot to work on at the plate. "I think with a bat in his hand he just needs to continue to do what he's doing," he said. "He hits line drives, he hits for power. Maybe he can be a little bit more consistent taking the ball away from him the other way when he needs to. But he is a gap-to-gap hitter." Hitting was a subject Paget enjoyed talking about. "As a hitter, I have a really good eye. I can identify pitches that I should or shouldn't swing at," he said. "That definitely helps how I hit the ball. If I see a pitch that is right in my wheelhouse then I can drive it. As a hitter my eye really helps. "Everything else comes from that. Hitting with two strikes, on base percentage. 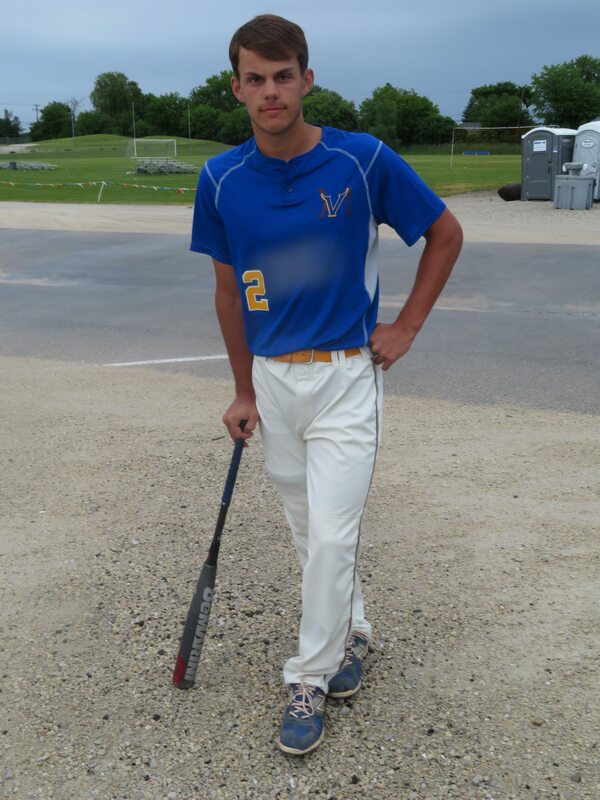 I don't always get hits, but I don't strike out. I've struck out twice this year. Once you put the ball in play, you have a chance to get on base a lot." Paget know he still has things to work on. "I would definitely like to get better in fielding," he said. "I wouldn't say I'm a bad fielder, but it's not where I want it to be. Receiving the throw from other infielders is definitely my best part. I can scoop the ball or if it's up high I can get it. But I can improve my throwing and fielding grounders. "And hitting curveballs. One part of my game I'm not really good at is hitting a curveball. So I definitely want to develop that." Photo by Tom 'Sky' Skibosh --- Whether batting or fielding, Nick Paget is calm, cool and collected. Farina spoke about Paget's defense and admires his thought process when he does make a mistake. "He's a fabulous fielder," the veteran coach said. "He will pick anything out of the dirt. He missed a couple of pop-ups this year, but that's a perfect example. He could have hung his head, but he was like I made a mistake, now I will fix the mistake. "That's the kind of player that he is. That's what puts him over the top of so many other players. He doesn't let a mistake bother him. He has a short memory. He will immediately figure out how to correct it." But Farina points out he is only a sophomore. "Defensively the more time on the field, the better he gets. The more he plays he will continue to get better because he doesn't take any days off." Farina said he already is a team captain despite his youth. "He had a lot of guys looking up to him when he went about his business," he said. "He didn't go about his business like he was a 14 year old last year and he's not this year. People look up to him because he has a fabulous attitude, a fabulous personality, as easy person to like and because he is that kind of guy, his teammates like him. He doe not look at himself as anything other than just another guy on the team - which makes it easy to follow him." When asked about goals, not surprisingly Paget put the team first, saying he wanted them to go deep into the playoffs and maybe make it to state. Personally, he was hoping for a possible All-State mention. "He has total confidence in himself," Farina said. "He understands that he would only do his job and not try to do more than he needs to do - and doing his job is more than good enough for any team." WHAT DO YOU DO TO RELAX? Watch TV, listen to music. MOST MEMORABLE MOMENT: Walk-off grand slam vs Greendale. WHAT DO YOU WANT TO DO IN THE FUTURE: Attending University of Wisconsin - Madison. Study Actuarial Science.